A Celebration of Life Service will be held on Sunday, September 9, 2018, 1:00 p.m. at Hartselle M.B. Church with the Reverend Ivan Pride, officiating and inhumation to follow in Sterrs Cemetery. Public viewing will be Friday 3:00 p.m. - 7:00 p.m. and Saturday, 10:00 a.m. -5:00 p.m. at Reynolds Funeral Home. Visitation will be Saturday from 5-6 at the funeral home. Chester L. Davis was born on April 18, 1957 to the late Reverend Percy Sr. and Katherine Turney Davis of Hartselle, AL. He departed this life on September 4, 2018 in Decatur, Alabama. He accepted Christ at an early age and was baptized at Hartselle M. B. Church. He worked at Wolverine Tube-Decatur as a Finishing Line Supervisor for 30+ years. 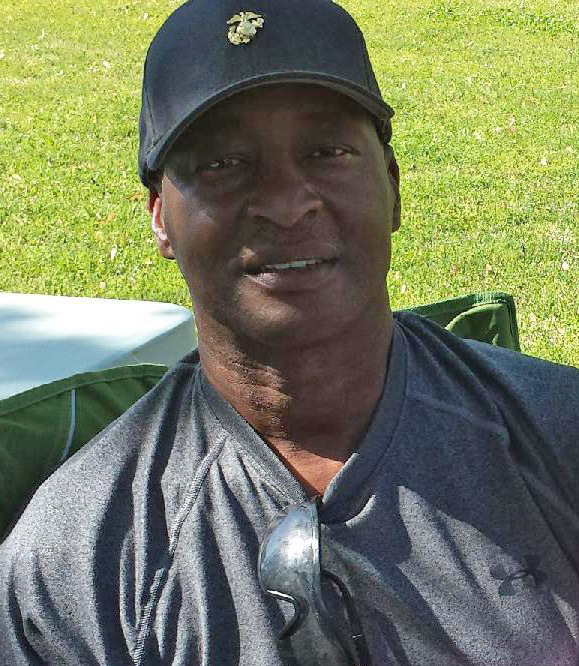 Chester served his community as a referee and coach for Decatur City Youth League Basketball. He loved the outdoors, was an avid treasure hunter for bargains, and mostly was a devoted father to his sons, and loved spending time with his grandchildren. Chester was a person who could tell a story and joke with a straight face. He was preceded in death by his parents; brother, Percy Davis, Jr.; and sister, Mae Kathen Elliott. Chester leaves to cherish his memory: his devoted wife Barbara Bouldin Davis of 37 years; two sons, Checkton (Amy) and Joshua Davis of Decatur; four grandchildren, Anyia, Chandler, RayLee and Kailee Davis all of Decatur; one sister, Marilyn (Larry) Jones of Hartselle; two brothers, Jimmy Davis of Decatur and Tony Davis of Hartselle; aunts, Eloise Turney-Chaves and Dorothy Dunkin both of Chicago, IL; uncle, Charles Turney of Pittsburg, PA; three brothers-in-law, Willie J. (Catherine) Bouldin Jr. of Twinsburg, OH, Elliott Bouldin of Columbus, OH and Fulton Bouldin of Peoria, IL; sisters-in-law, Mable Davis of Decatur, Lois Bouldin of Columbus, OH, Carrie Brown of Cleveland, OH and Brinda (Danny) Purnell of Madison, AL; and a host of nieces, nephews, cousins and friends. Pallbearers will be: Danny Tapscott, Lorenzo Burgess, Steve Toney, Calvin Moseley, Johnny Moseley, Alvin Moseley and Gary Ballentine. Flower Bearers will be cousins.